Police are appealing for witnesses following a collision on the A47 yesterday in which a man was seriously hurt and airlifted to hospital. 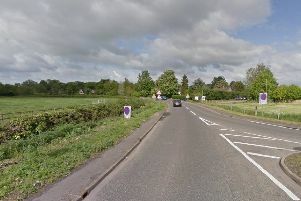 The collision, between a white Ford Transit and a red Iveco lorry, happened at about 12.40pm on Wednesday (June 22) approximately a mile from the Guyhirn roundabout. The driver of the Ford, a man in his 30s, suffered serious injuries and was taken to Addenbrooke’s Hospital in Cambridge where he remains in a serious condition. The driver of the lorry, a man in his 40s, was uninjured. Anyone with information is asked to call PC Burgin on 101.